What do you get if you combine a preschool with a home for the elderly? According to recent social experiments, a lot of happy kids and an elderly generation that can't stop smiling. The two-part series Old People’s Home for 4-year-olds saw 10 four-year-olds brought together in a retirement community with people in their late 80s for a six-week period. The improvement in the grown-ups was clear in terms of everything from cognition, mood and depression, to physical abilities including balance and the ability to get up and walk. On sports day, one woman who couldn't even remember the last time she ran, sprinted off with her four-year-old buddy to be in with a chance of winning. But what about the benefits for the kids? 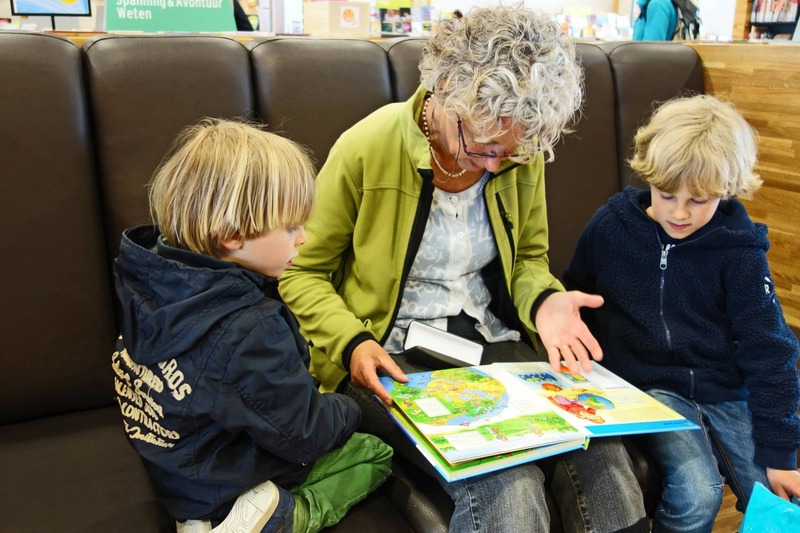 As Melrose Stewart, lecturer in Physiotherapy at the University of Birmingham, and Malcolm Johnson, Professor in Gerontology at the University of Bath, wrote for The Conversation: “Children are open minded. They love attention and take an interest in adults. At the same time, children learn quite mature skills from adults”. Well, the science has spoken - and while sticking everyone’s kids into a social experiment isn't exactly doable, it seems that there are plenty of other older folks willing to give up their time to spend quality time with the littluns. The unsustainable cost of full-time childcare meant Sydney-based mum Melissa Wilson, 41, needed a little extra help looking after her two children, Isobel, 5 and Magnus, 2. Despite living hundreds of kilometres away in country Victoria, Melissa’s mum Michelle, 60, jumped at the chance to spend more time with her grandchildren. She has since looked after the children three days a week before flying back to Melbourne where her husband picks her up and drives home. “I said no for a very long time,” she says. “It just seemed like far too much to ask of both my mum and my dad. But seeing the bond that has developed between my mum and the children - particularly with Isobel - I know we made the right choice. For Melissa, it’s that true quality time that makes the relationship so special. “Spending time with the grandkids keeps my parents young in heart and in mind,” she says. “Everything is exciting for children - especially Magnus. He gets joy from the littlest things and it’s really great for that they get to see the world through their eyes. Despite a 73-year age gap and 1000km distance, Kath Kissell, 43, from Sydney has ensured her 6-year-old daughter Alexa’s relationship with her grandfather Ian, 79, from Melbourne, is thriving. The distance means that although the family doesn’t see each other regularly, when they do it’s for long stretches of time - usually a few weeks around four times a year. While technology plays an important role in-between, Ian has cultivated his own unique way of forging a special connection with his granddaughter. The duo has their own comic book, The Adventures of Lexxie and Maggie. Based on Alexa and Ian’s pet dog Maggie, he draws the cartoons himself and posts them regularly to the Kissell family home. Like Melissa, Kath makes a nod toward the older generation’s slighter freer schedule. “I’m a busy working mum and there’s always so much to think about,” she says. “Work, school, exercise, other commitments. Most mums are at a time in their lives where everything is busy. “Grandparents aren’t sweating the small stuff, which means they’ve got time to really focus on the kids when they’re with them. The relationship also reflects the past, when a simpler time of playing outdoors was the norm. So, whether it’s the grandparents or a family or friend with a few grey hairs, one thing is for sure - making sure they all get quality time together is good for the whole family.